Anglers say the area is a splendid base for a fishing holiday! There is a profusion of rivers for Salmon fishing and many lochs well stocked with Brown Trout. 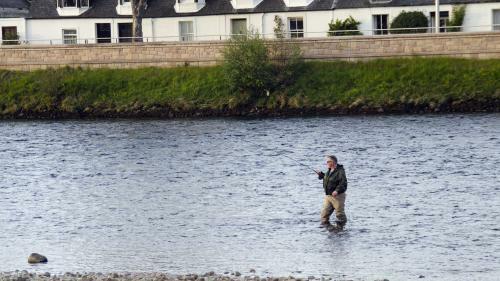 Even in the middle of Inverness you can catch Salmon and Sea Trout! Fishing permits for local lochs and rivers can be purchased locally.